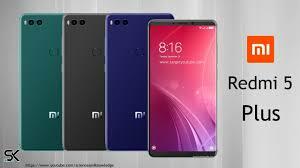 Earlier this week Xaomi flagged up the pictures of its new Redmi 5 and Redmi 5 plus Smartphone devices, and now the Smartphone have been revealed in full. 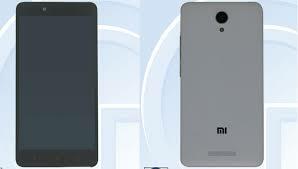 Redmi is Xiaomi’s brand that attempts to deliver full screen display, expected to be sold at extremely low prices. As was featured in the pictured earlier this week, the Redmi 5 and 5 Plus comes with a style of 18:9 design to the Redmi line, with rounded corners and thin bezels on the top and bottom of the screen. Featuring a fingerprint sensor and a single camera at the back. 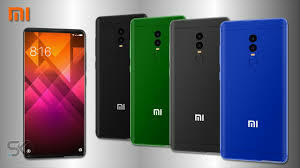 The xiaomi Redmi 5 and Redmi 5 plus comes in an aluminum body and the color varies as it comes in different colors such as blue, pink, gold, and black offering a choice in terms of color. Pricing The Redmi 5 starts at 799 yuan which is about $120 for the 2GB RAM and 16GB storage model, with 899 yuan which is equivalent to $135 for a 3GB of RAM and 32GB of storage. Pricing The 5 Plus starts at 999 yuan (~$150) for the 3GB/32GB model, with a 4GB/64GB variant selling for 1299 yuan (~$180). Xaomi 5 Plus sounds like particularly good in spec and value. As it comes with the Snapdragon 625 which is a solid processor with great power efficiency, especially when paired with such a large battery and an 18:9 full-HD display is impressive at this price point. The phones have only been announced for China so far and will be available on December 12th. ← Simple Ways of Subnetting Internet Protocol Class C address.